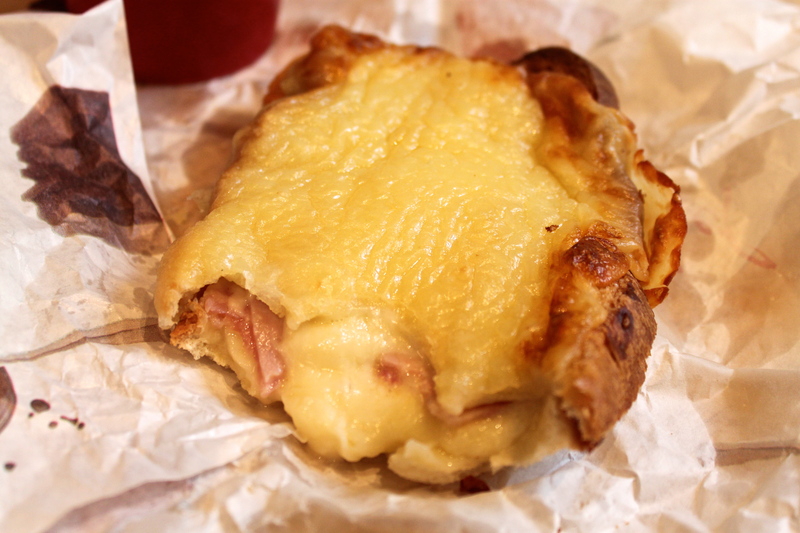 Reserve 2 tablespoons of the cheese and divide the remaining cheese between the ham topped slices of bread, sprinkling it evenly over the ham. Place the 4 remaining sliced of ham on the cheese and top with the remaining 4 slices of bread to make a sandwich. Place the sandwiches on a baking sheet, butter the top slices with the butter then grill for 4- 5 minutes until well browned and crisp. Turn them over, and grill for a further 3-4 minutes until well toasted. Remove from the grill, turn them over again then spread the top of each with the cold béchamel sauce, sprinkle with the reserved cheese, place back under the very hot grill and cook until golden and bubbling. Serve immediately.